The Stand-Out Piece From The Whistles Autumn/Winter 2013 Collection: Do You Agree? We think it's worth interrupting the current heatwave to take a sneak peak at the Whistles autumn/winter collection. Autumn is a long way off – it feels decades away at the moment – but the Whistles autumn/winter collection definitely deserves a few minutes of your time. We’ve had a sneak peek at the new range and, ladies, it doesn’t disappoint. In particular we’re loving the oversized ponyskin clutch, and, although we’re loving the dusty pink version, it’s the navy offering that has whizzed straight to the top of our autumn/winter wishlists. Navy was a big trend on the A/W’13 catwalks and features heavily in the new Whistles collection, as does cream. 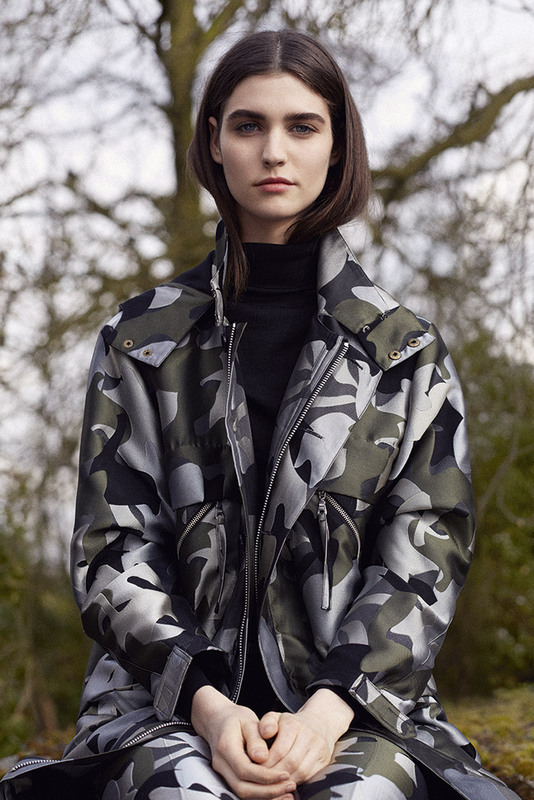 Alongside the oversized clutch, it’s the outerwear that’s really caught our eye, with a navy (again) cape and a camouflage parka being our stand-out pieces. Whistles has tapped into many of the autumn/winter 2013 trends with use of leather (we’re so excited about the quilt-stitched leather sweatshirt), classic patterns and a feminine twist on traditional masculine shapes. Do you like what you see? Will you be checking out the Whistles autumn/winter 2013 collection? Let us know in the comment box below.